The theme of today’s Wales Vision Strategy conference was “The World Outside”, and focused on what it is like to navigate the world if you have sight loss and what needs to be done ensure people are not cut off from the world. Key partners and stakeholders had an opportunity to engage with policy influencers and experts from across Wales about the important legislative developments in planning, transport and equality. Information was shared about the cutting edge developments and emerging technologies that will help to make our environments inclusive to people with sight loss. Delegates took part in workshops and presentations from a wide range of partners including: Andrea Gordon and Jonathan Mudd of Guide Dogs Cymru, John Ramm of RNIB Cymru, Dr Robert Gravelle Compliancy and Equalities at Cardiff County Council, Carol Thomas Director of Access Design Solutions, Steve Tyler or RNIB, and Ruth Hussey Chief Medical Officer. 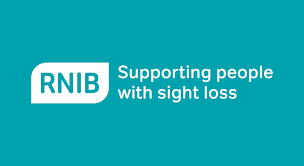 Ceri Jackson, Director of RNIB Cymru, said: “We are pleased to host this reception in partnership with Guide Dogs to highlight the issues that blind and partially sighted people face the moment they leave their front door. In many cases doing what people with sight do every day without thinking such as accessing public transport or crossing the road can not only be difficult but in many cases actually life threatening. However, we know in some key cases, those involved with public planning policy are getting it right; consulting their local communities and planning ahead – not making costly mistakes that will lead to redevelopment or lawsuits.